As a result of knowledge in construction in the area of connection joints (connection to a vent window) we entirely withdraw from the obsolete and absolutely the wrong Assembly procedure-mechanical anchoring (Staples, screws) and foam insulation PUR foam. Where is the problem? 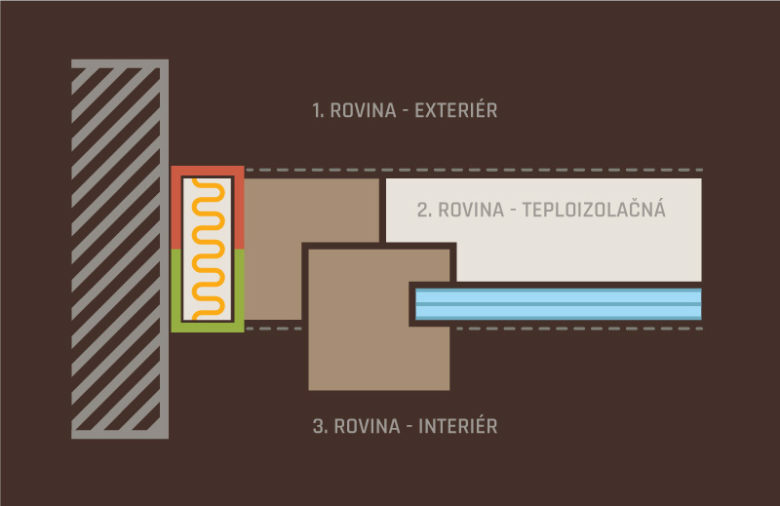 For the embed window in the gap it goes to the fomation of moisture (steam) from the interior to PUR foam and leaking in the water for the influence of circumferential cracks in the contact window frame-masonry. By showing that the effects of an increase of the wet of the PUR foam by 5% to about 50% of its insulating ability of the reduction is actually creating a thermal bridge and condensation on the inside lining of the fault-and fungi. The prescribed and legally approved procedure for the design and implementation of the installation of windows and doors is set in STN 733134. Due to the enormous range of materials offered and used in the connection gap since 2012 is in force STN 73 3133 defining the basic requirements for the properties of materials used in the joining gap of the window with the surrounding structure. Materials complying with this standard meet the essential requirements for airtightness, water tightness, elasticity, thermal insulation, durability and UV resistance etc. According to the principle of "inside more tightly than outside", the joint is completely dried and thus to achieve a permanently perfect insulating ability without subsequent defects and inconvenience. 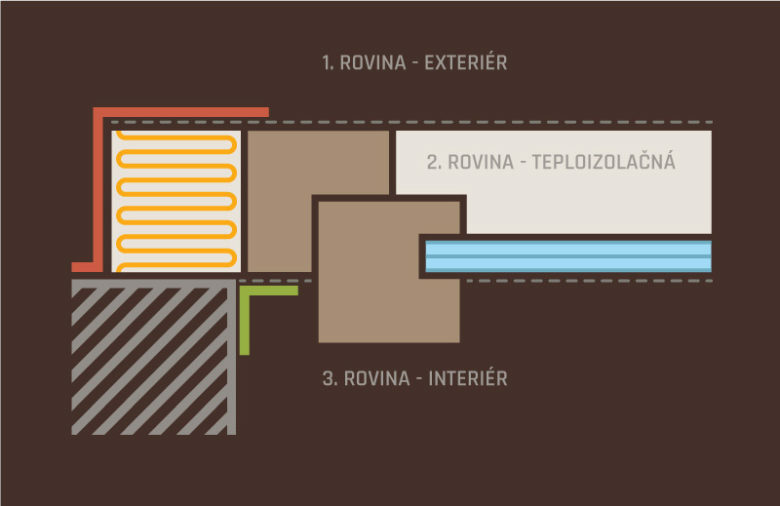 New generation materials allow only one product to seal the joining joint, while the "inside-out-to-outside" principle is retained. This feature is obtained by editing individual layers of the compression tape. The connection joint thus constructed is then waterproof, airtight, heat insulated and permanently UV stable. The pre-assembled window means the window is extended to the building's thermal insulation level. Such a solution has undeniable advantages in terms of eliminating thermal bridges, moving the dew point isotherm, saving energy for heating and cooling. At the same time, however, the pre-installed assembly is more demanding with regard to planning, execution time and finance, so it should be thoroughly recalculated and subsequently reflected in the implementation project. Emphasis is placed on solving construction materials, the strength of the load-bearing structure and connecting the products to the floor. This assembly system is more widely used in ultra-low-energy buildings, almost zero energy buildings or passive buildings. In the case of a typical oversized hole fillings or elements in poorly accessible areas we are ready for the most demanding requirements. With the use of a special UNIC mini-crane and its handling capability in only 600 mm wide openings for use in confined spaces, but also in interiors, implementation will not be a problem. How to avoid assembly errors? We've built a dozen rules for proper window assembly for you. Water-borne varnishes on the basis of acrylate and disperzed require adequate sealing and cleaned off the cover tape. The latest collaboration in window assembly has begun with SIGA.